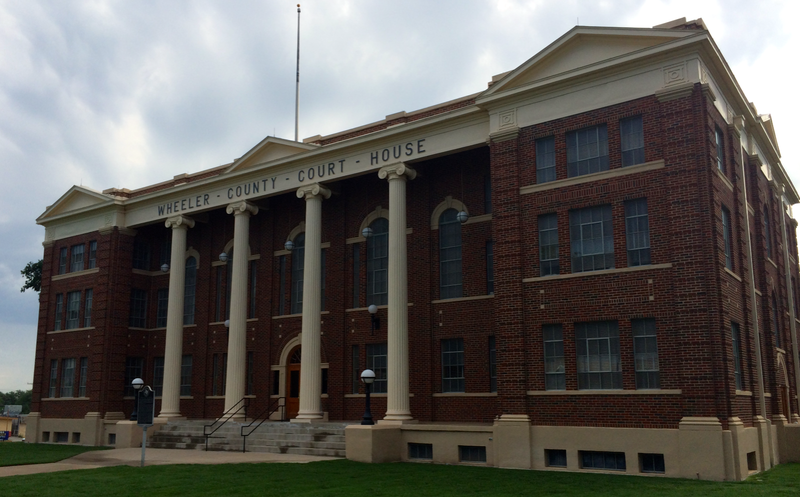 I was the guest of Wheeler and Wheeler County on May 31, 2014. This Italianate building was constructed by a team of Irish workers that followed the plans of an unknown architect. Local stone was taken from the homestead of Mr. Emanuel Dubbs, who lived nine miles west of Mobeetie (the original county seat). 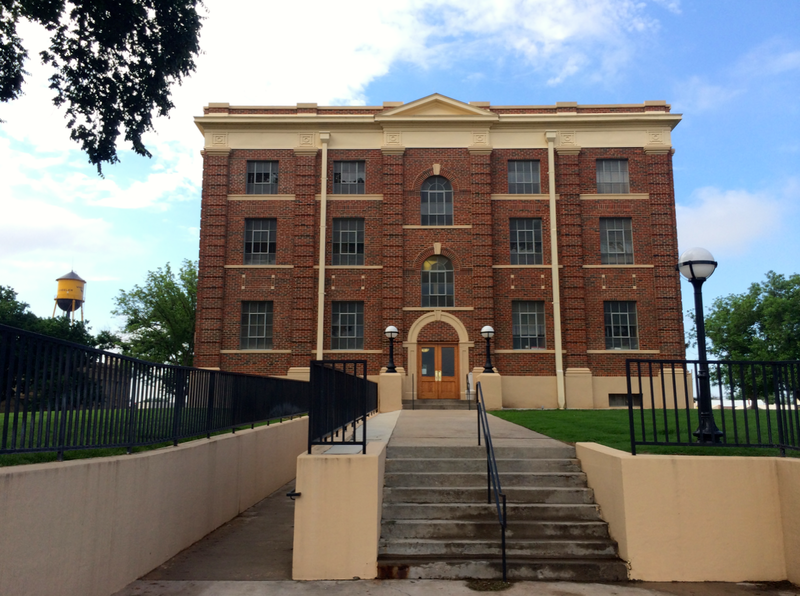 In 1888, the structure was condemned following the discovery of a lack of reinforcement pins in the walls and a new courthouse was quickly put into the works. 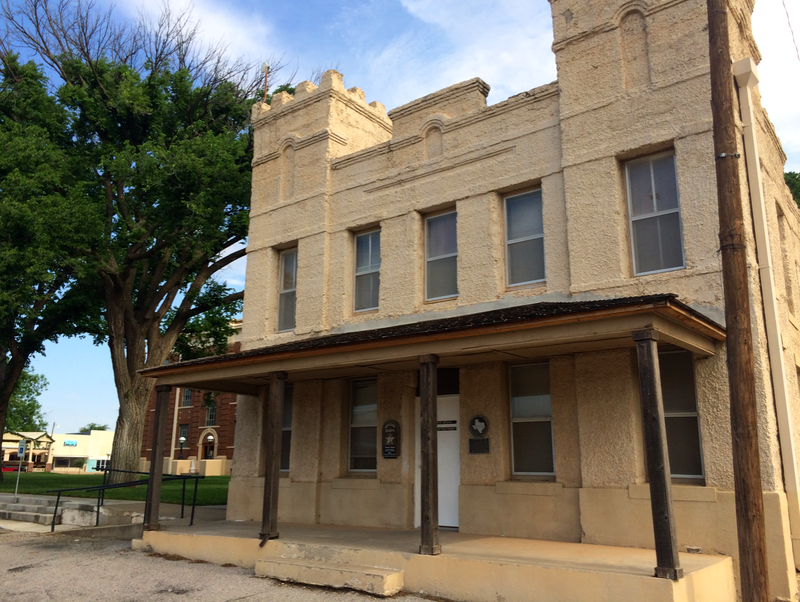 As a replacement for its structurally unsound predecessor, Wheeler County’s second courthouse adopted the Italianate style of its forebear, but neglected to follow its pattern of stone construction. 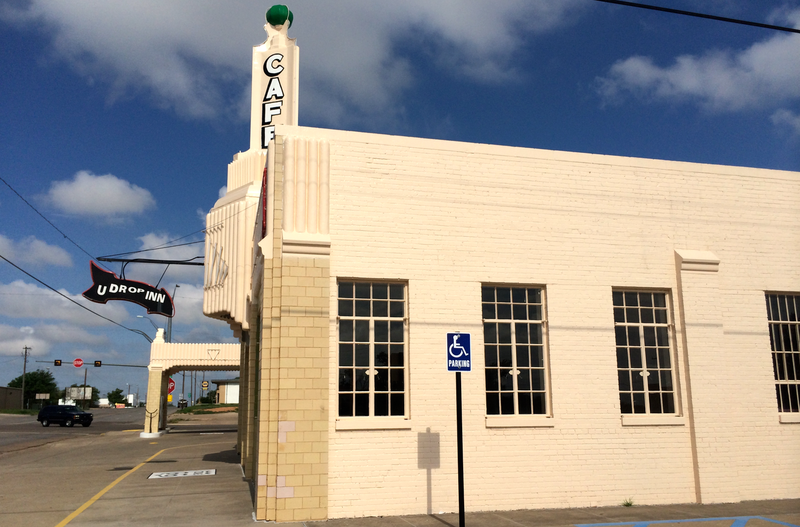 It was a wooden frame building that stood two stories. 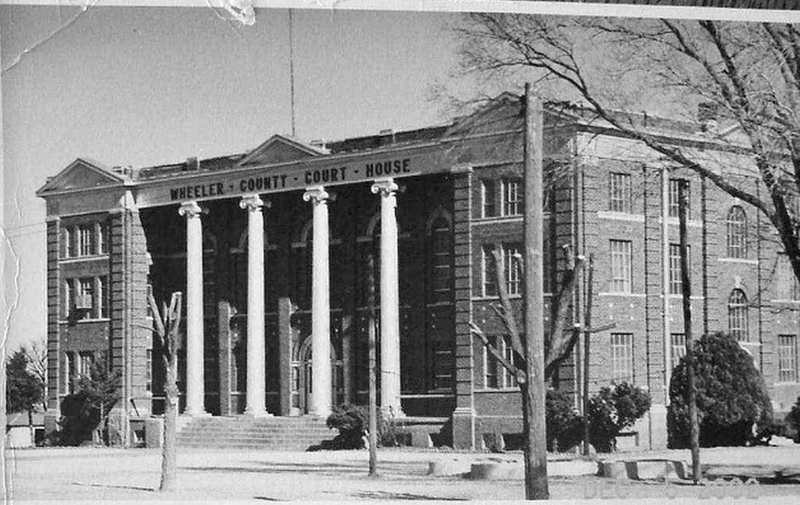 When Wheeler became the county seat in 1907, this building was literally moved down the road to the new center of government. 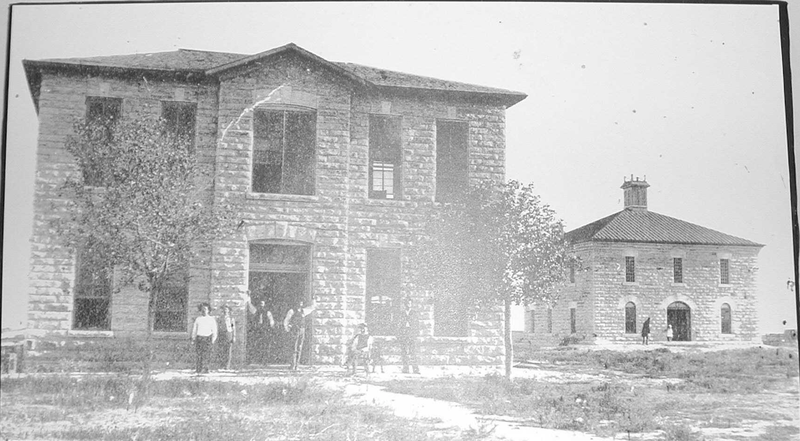 By 1913, six years later, the county had grown sizably enough in population that county officials deemed the courthouse too small to conduct business properly. 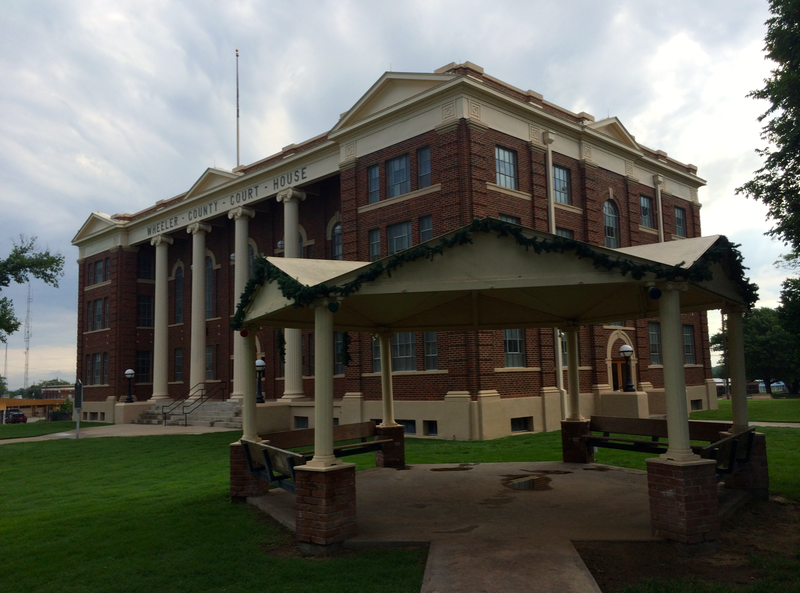 A separate building was therefore built on the square to hold the county clerk’s office. 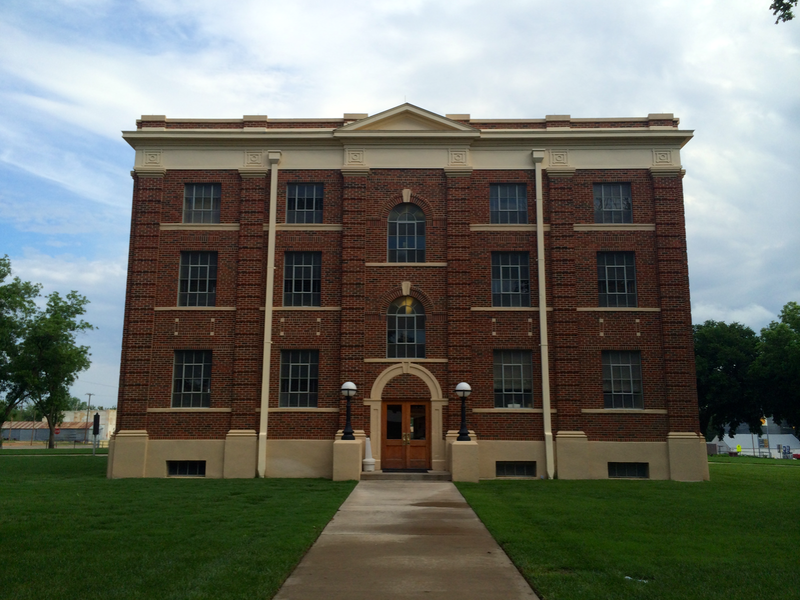 A decade later, that same structure was enlarged, which indicated to commissioners the need for an outright, proper, new courthouse. 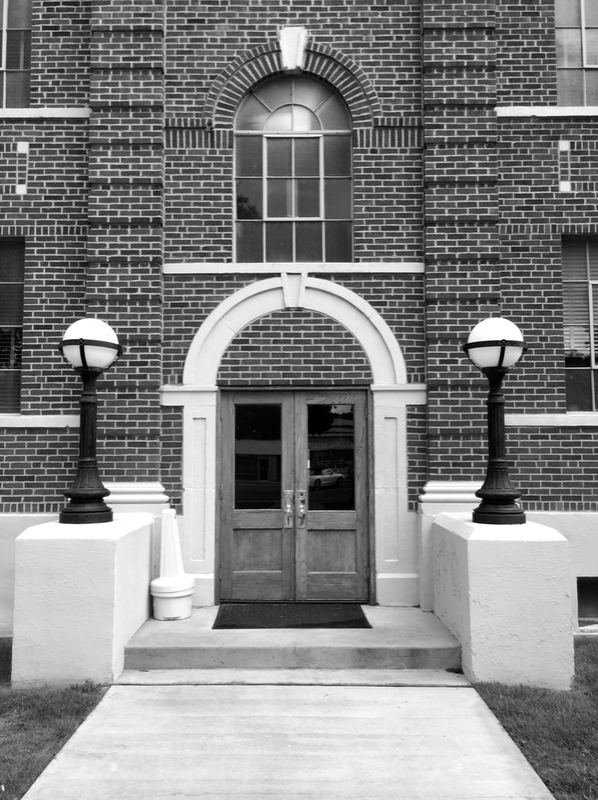 A bond election in 1925 set aside those necessary funds. 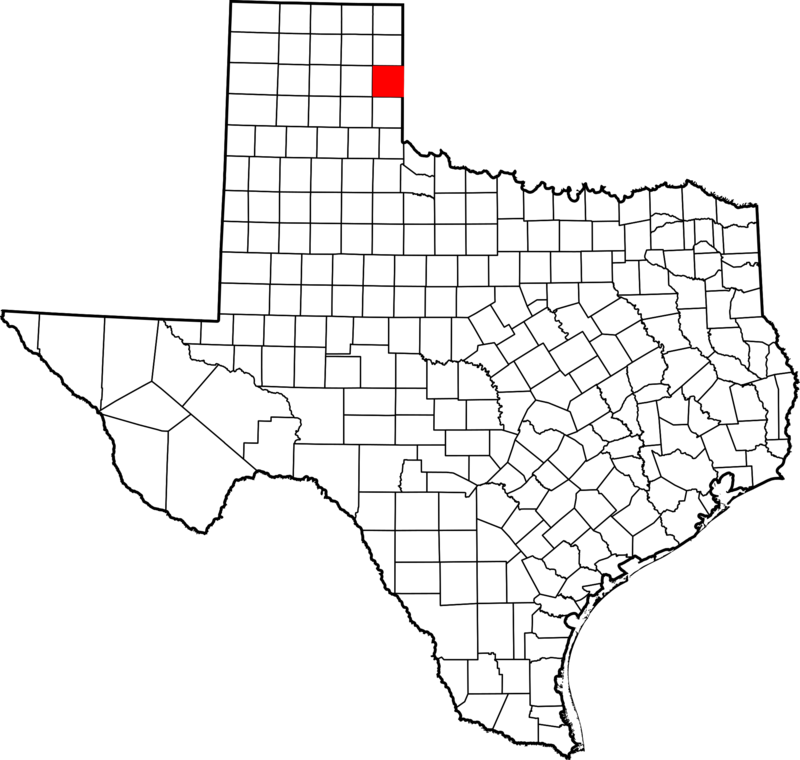 The 1888 courthouse was subsequently sold to the county sheriff Riley Price, who took it apart and used the salvaged lumber to build barns on his ranch. 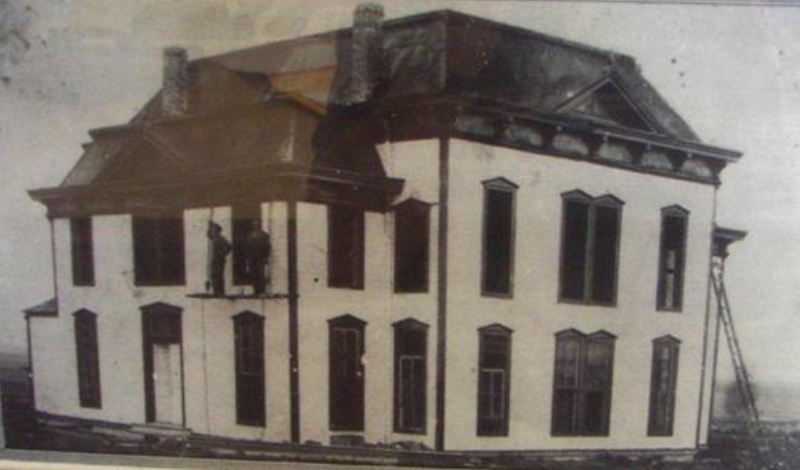 The 1913 county clerk’s office was demolished in 1929. 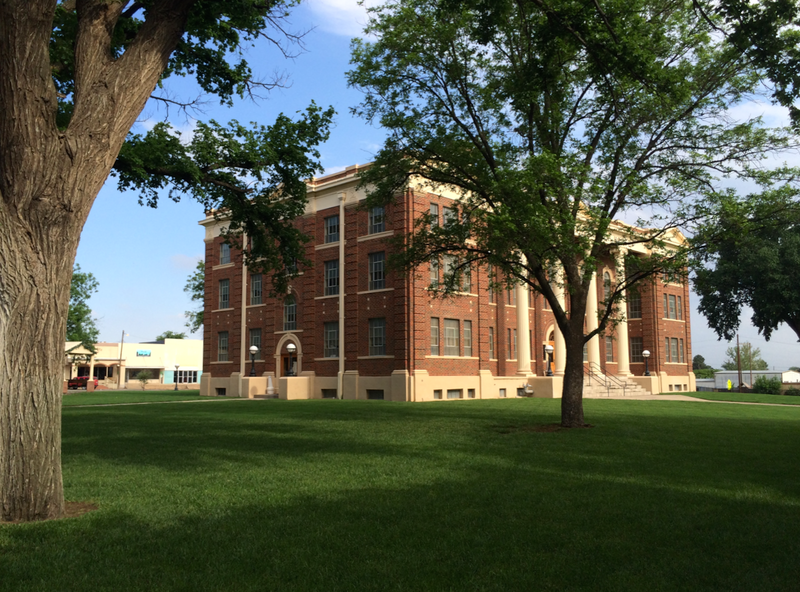 E.H. Eads, of nearby Shamrock, was the chosen architect for the county’s new courthouse. 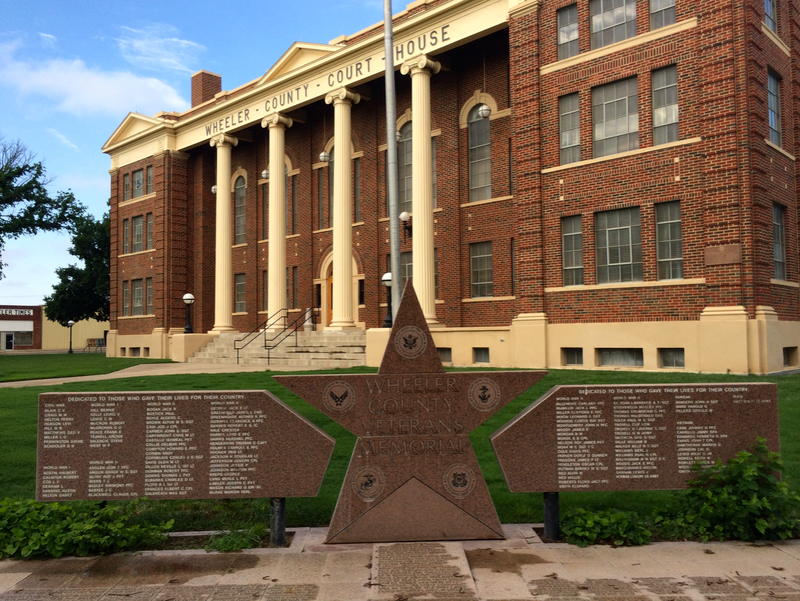 Among the class of courthouses standing today, this is one of only a few occurrences I know of in which a county resident provided the plans for his own county courthouse. The contractors involved were Hughes and Campbell. Wheeler County is cattle country. We passed this very large, and very pungent, cattle operation on the way into Wheeler. 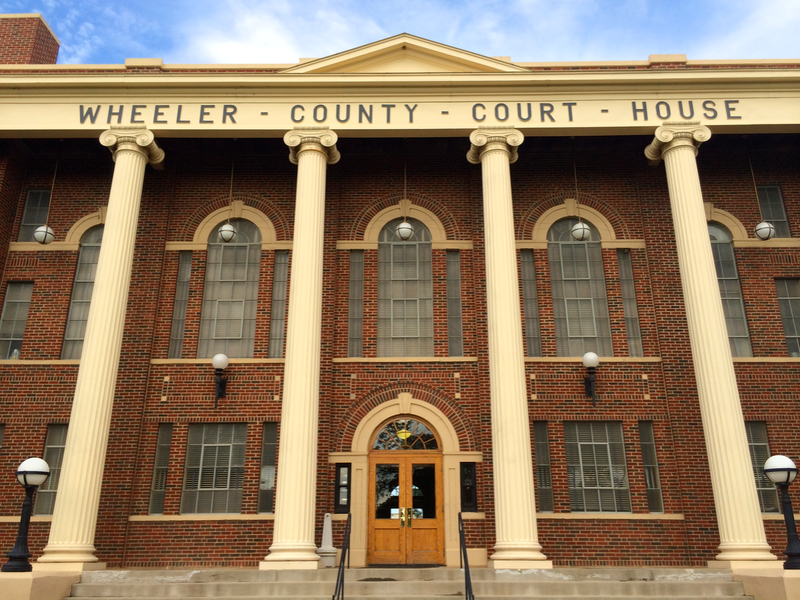 The Wheeler County Courthouse’s imposing entryway faces east. 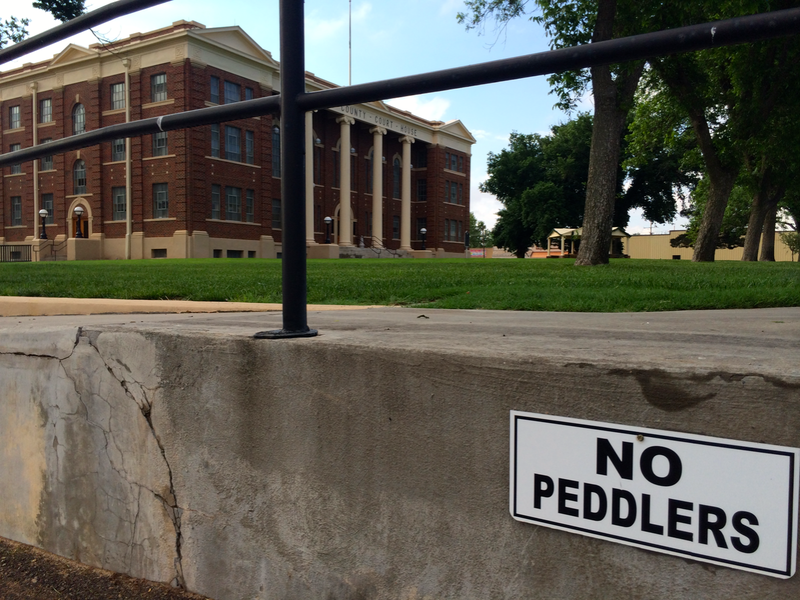 Keep in mind, there is a strict “No Peddlers” rule on the grounds. 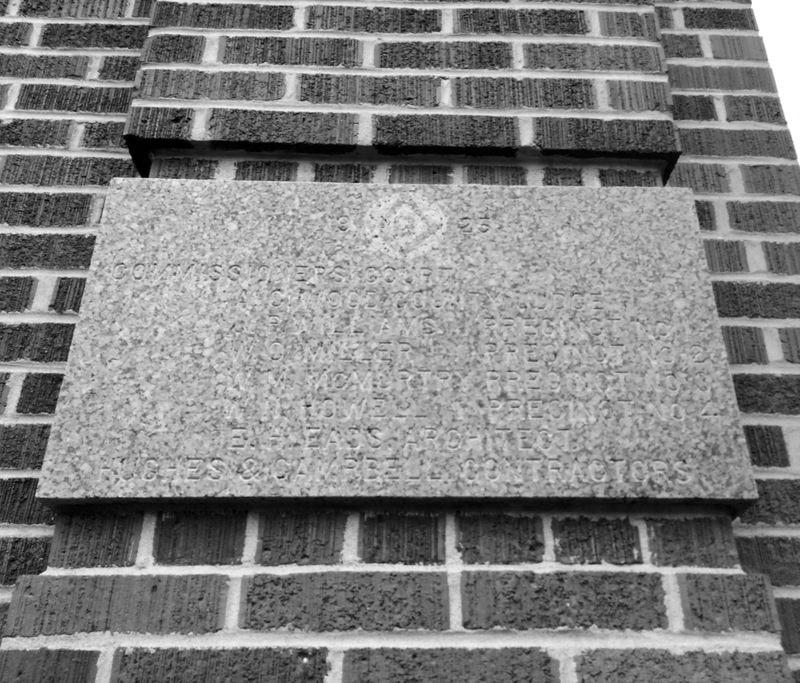 The cornerstone is tricky to read. 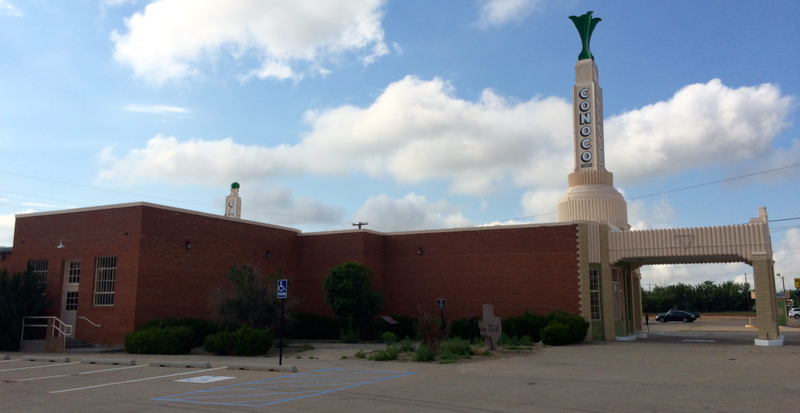 The northern façade faces Oklahoma Avenue / TX-152. That’s a clever name, because the same road enters Oklahoma nearly sixteen miles east of the courthouse. 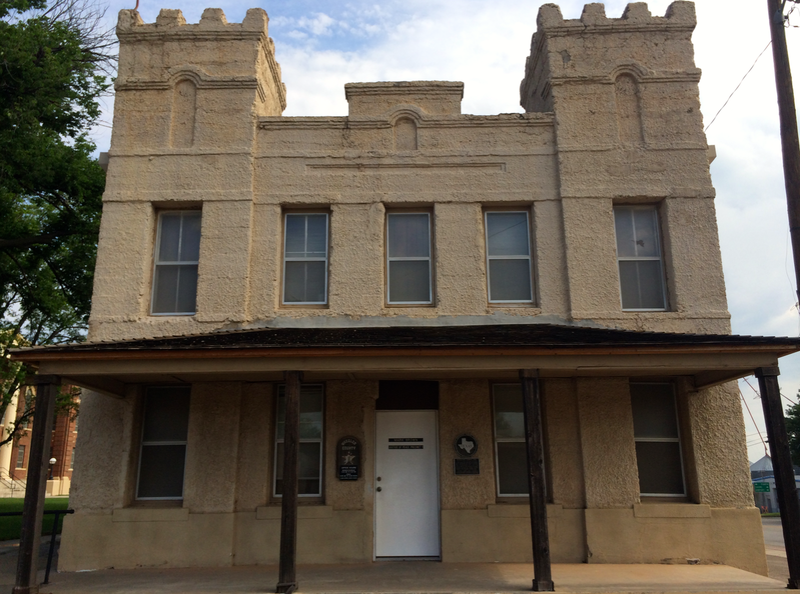 Also on the courthouse lawn is the historic Wheeler County Jail, now the sheriff’s office. 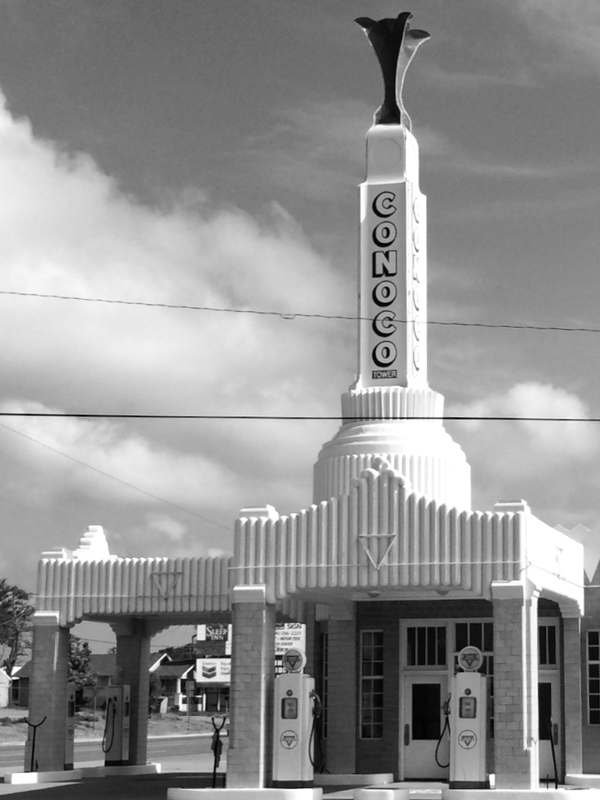 In Shamrock, Texas (seventeen miles south of Wheeler) is the historic “U-Drop-Inn”, a well-known Conoco service station.